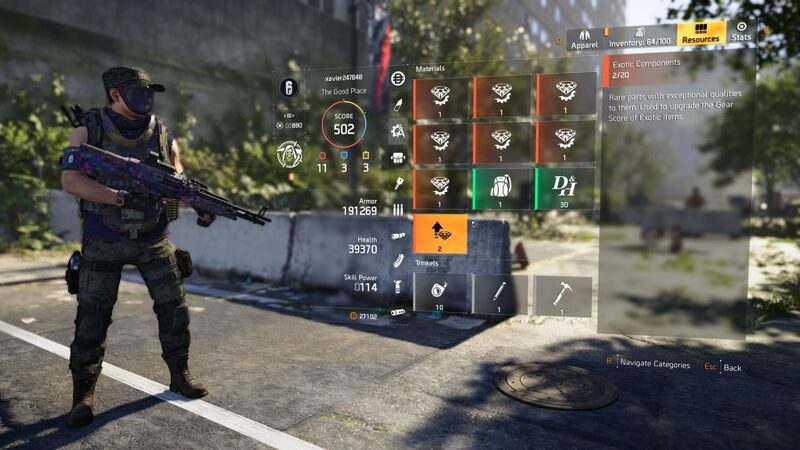 Getting Exotic Components in The Division 2 is a tricky and costly process that’s never explained to you in-game. 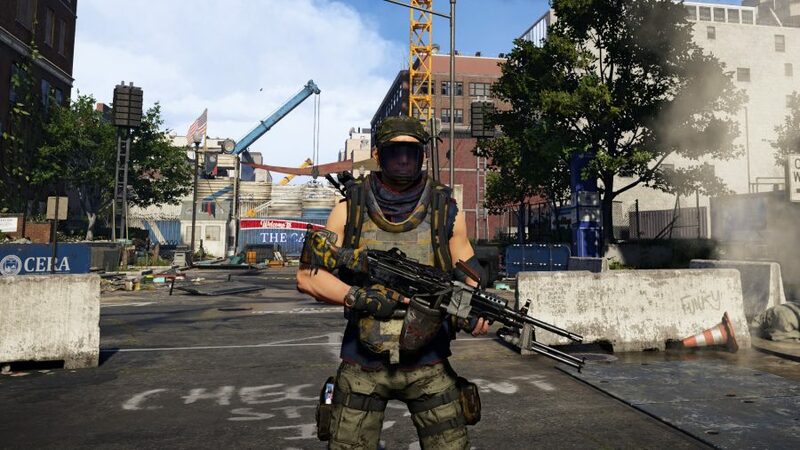 Once you reach the max level and find yourself grinding away through the five world tiers, completing invaded missions and stronghold as you go, you’ll likely have stumbled upon your first The Division 2 Exotic weapon. There are currently six of these rare weapons you can craft or find for yourself, but as you continue to progress to the max gear score of 500 you’ll notice that the first Exotics you crafted are now obsolete. So, how do you upgrade your Division 2 Exotic weapons? Well, you’ll need the corresponding gear score upgrade blueprint for the weapon you plan on modifying, which you should be able to purchase from the main vendor in your Base of Operations. Next, you’ll need a fully upgraded crafting bench – crafting Exotic weapons is resource intensive so you don’t want to do this more than necessary. The final part of the puzzle is getting all of the crafting materials to build a better version of your Exotic. Taking The Division 2 Chatterbox Exotic as an example, you’ll need a bunch of materials: 36 polycarbonate, 26 titanium, 85 receiver components, 1 Division 2 Exotic Component, and a Chatterbox SMG with a gear score of 250 or higher. How do you get Exotic Components in The Division 2? Those Division 2 Exotic Components are the hardest crafting material to gather up, but getting them is actually pretty simple: they’ll drop simply from deconstructing Exotic weapons. It should be made clear that you can’t just deconstruct the weapon you want to upgrade, as you’ll then need to grind for another copy of that gun. Instead, you’ll want to deconstruct your least favourite or easiest to grind Exotic from your collection. For us, that weapon is The Division 2 Pestilence as it can be farmed with relative ease by farming landmarks in the DZ, plus the Pestilence is by far the worst Exotic in the game. Deconstructing this should give you two Exotic Components, which is enough to make any Division 2 Exotic upgrade. As you can see, that’s still a hefty price to pay for an Exotic upgrade, so pick carefully, and don’t upgrade your Chatterbox too regularly.